Students taking the German complete beginners course do not take the placement test. They can directly register for the course via the online registration form. 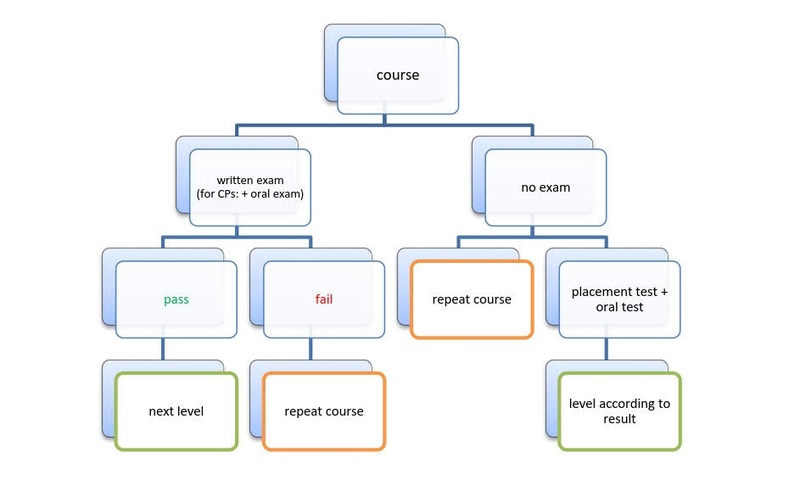 Students who have passed the exam in an IMPRS language course within the last three semesters move on to the next level; they do not take the placement test. They can register for the course online directly. Students who passed their last IMPRS language course more than three semesters ago have to take a placement test to verify their language level. For all other students, the placement test and prior online registration are compulsory! The placement test is valid for two semesters. After receiving the results of the placement test, all students need to register for the course via the online registration form. Important: Students must register online before courses start and be present for the first class in order to secure a place in the course. In addition, they have to provide proof either of university enrollment for the current semester (Immatrikulationsbescheinigung), or of employment with one of the CS-related institutes on campus. The proof of university enrollment has to be uploaded at the time of registration. Employees have to provide their institutional homepage as a reference on the registration form. Students have to register via our online registration form. Registration through the HISPOS system is neither possible nor necessary. All participants need a course book and workbook. You can either borrow them from the CS library for one semester, or purchase them yourself.